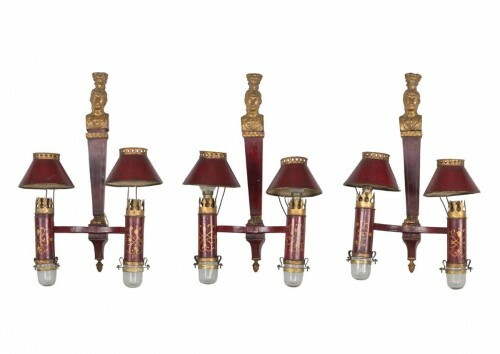 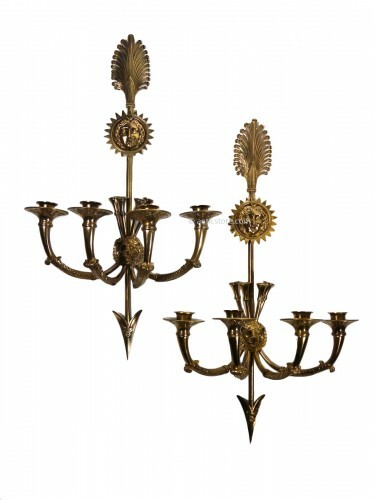 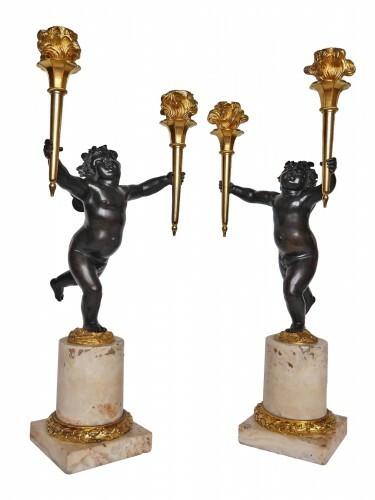 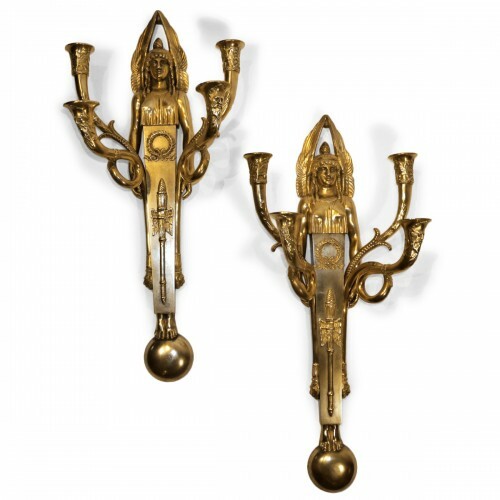 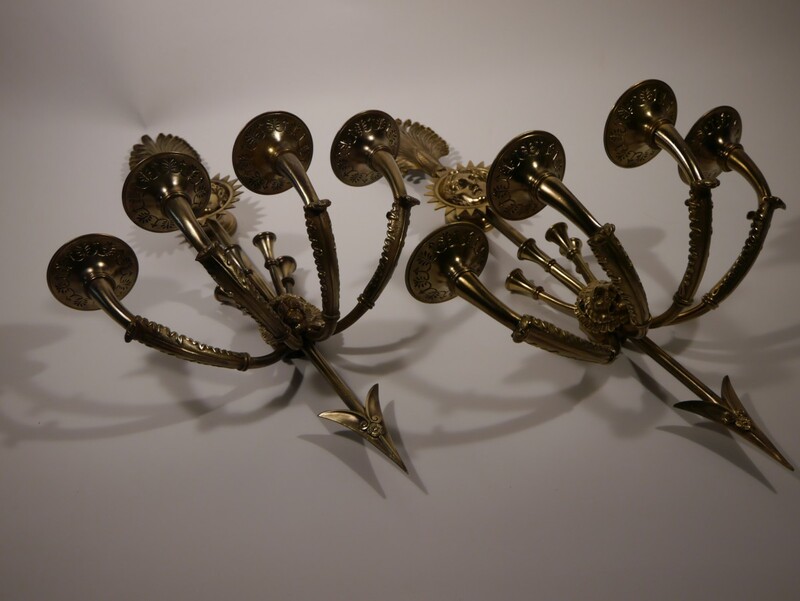 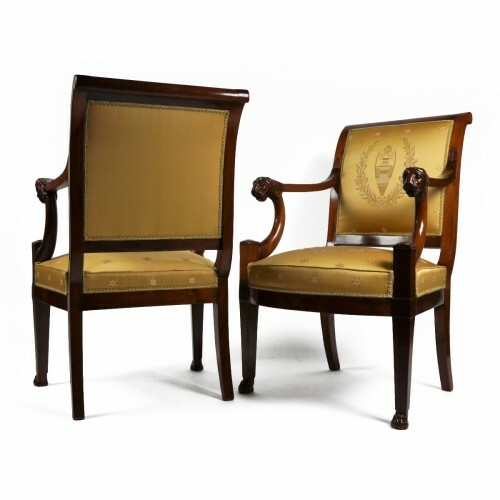 Pair of sconces with four arms of light in the Empire style, made around 1850. This model is a tribute to Diane Chasseresse, which we find his face applique, arrow and hunting horns. 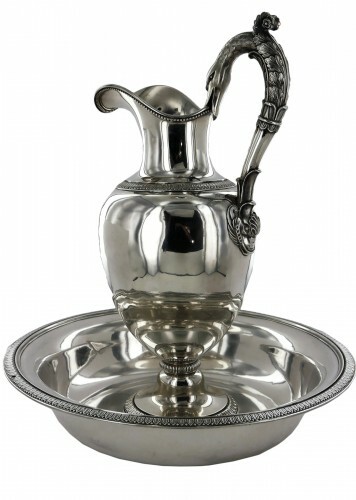 This model is a copy of the pairs that were delivered, September 21, 1806, for the large reception room of the Secretariat of State of France in Fontainebleau "four gilt bronze fireplace arms, arrows, heads of Diane, palmettes and horns hunting with 4 lights "(Nat 0 500, d.2, p 14). 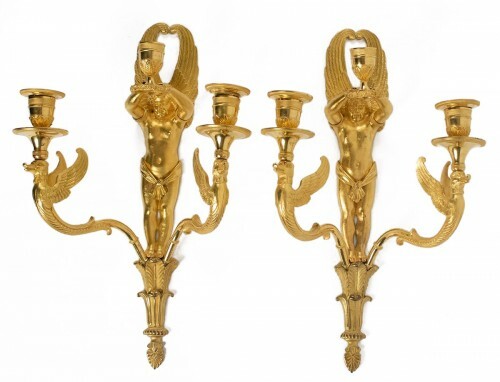 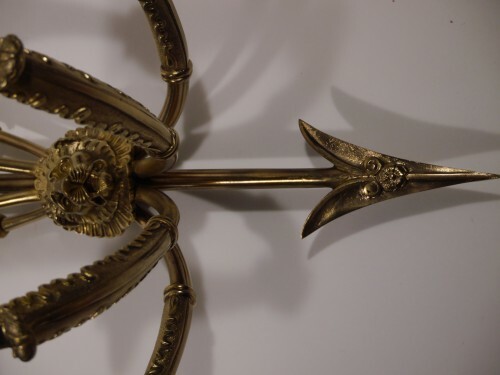 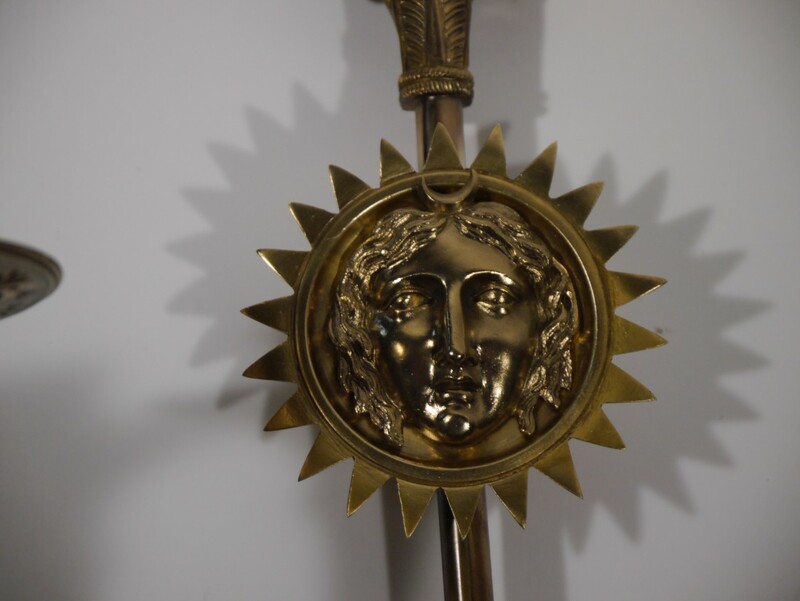 We find an identical model delivered for the dining room of the Grand Trianon at Versailles, December 23, 1809: "Two pairs of arms with arrows, head of Diane carrying four lights, chiseled and gilt gold matte" (Versailles, Grand Trianon, T 4006). 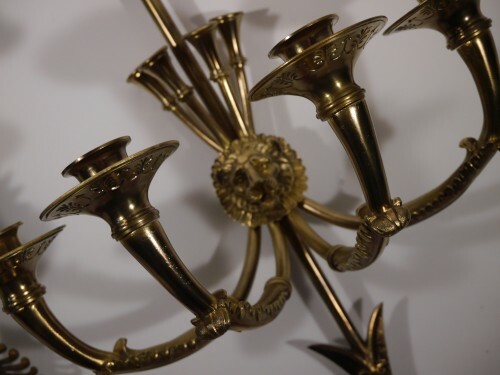 Condition report: electrified, wear of use, high work quality although it is late.